In some areas, it’s back to school time and, even if your school doesn’t start for a while, it’s never to early to start shopping around. Today, we have some Unusual Back to School Finds starting at $5.29! 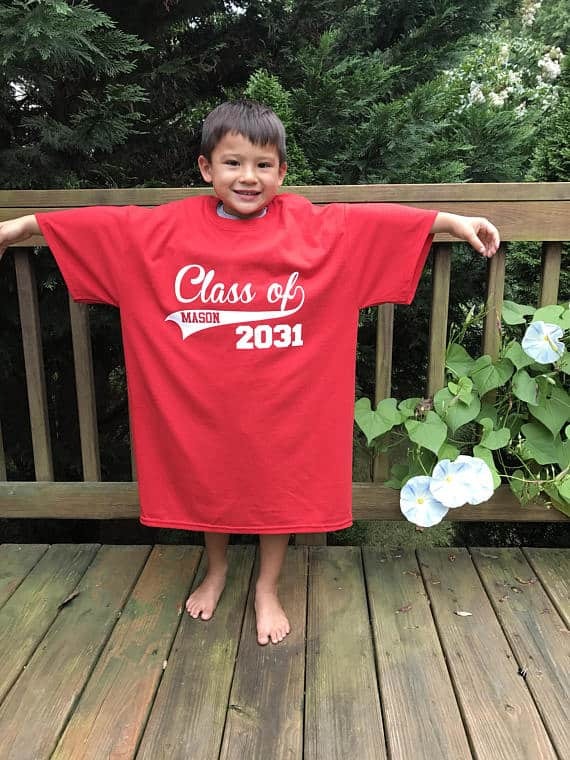 I’ve been wishing I had seen these Personalized First Day of School Shirts when my daughter was in kindergarten because it’s so cool to take your kids’ first day of school picture every year in it. Then, when they get to their senior year in high school, you’ll have one from each year and can see how they’ve grown! Get this for $16.99. How neat is this Personalized Crayon Holder?? 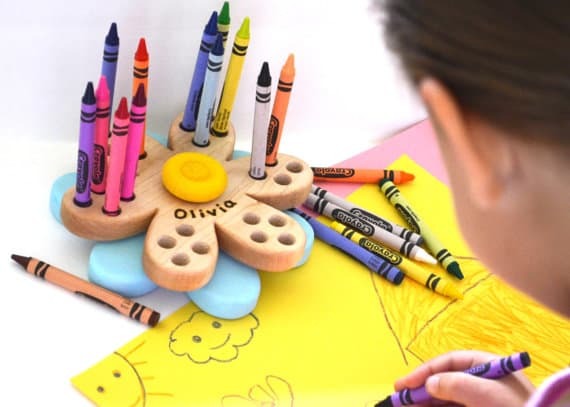 I love the flower shape, and kids will get a kick out of using this to hold their crayons. This is priced as low as $35. Do your kids need new backpacks? 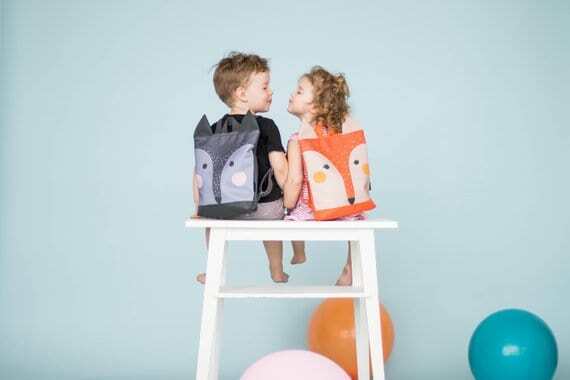 This Fox Backpack is too cute for words. My daughter would LOVE this, and I wish we had seen it before we bought her backpack for the year. Get this for $51. Looking for a back to school gift for your child’s teacher? 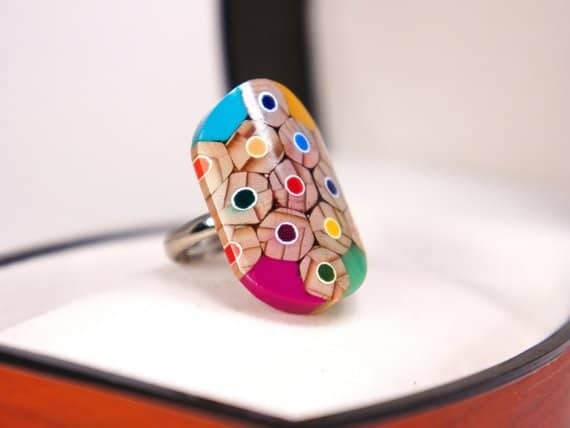 This brightly colored Ring Made from Colored Pencils is super cool and the perfect unusual gift for a teacher. She will definitely not have gotten anything like this before. This is priced at just $19.70. 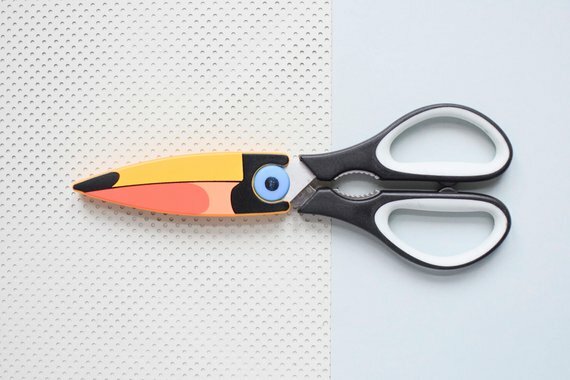 I am obsessed with these adorable Toucan Scissors! 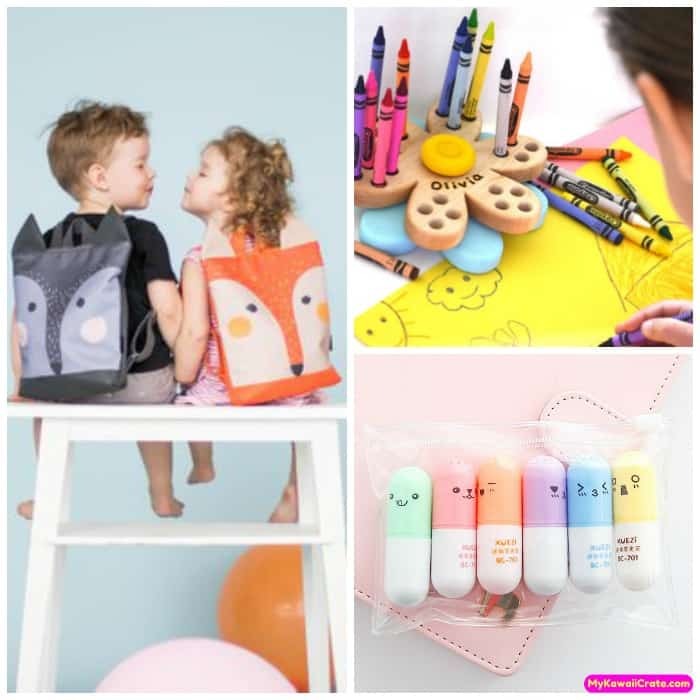 They are super cute and your kids will get a kick out of taking them to school! I’m betting they’ll get a ton of compliments from their classmates. Get these for $13.27. And, I just love these super cute mini highlighters! They’re perfect for keeping in a pencil box, desk or backpack and are great for little hand to use. 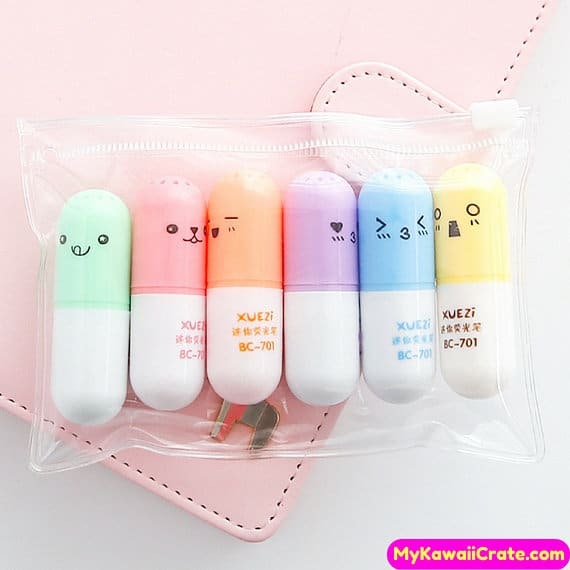 This set of 6 Happy Pill Mini Highlighters is priced at $5.29. How gorgeous is this blouse? This White Eyelet Blouse has a delicate, feminine look and is a steal at $19.99 (reg. $42). The white Eyelet Blouse is delicate and defined. It features ruffled sleeves, floral lace detailing, and scalloped bottom. All ladylike accents were put together to create this elegant look. The round neckline and buttons complete the overall design. You can wear this casually with jeans or shorts, or dress it up for work by pairing it with black pants or a skirt. You’ll get a ton of wear out of this one! Grab this White Eyelet Blouse while it’s on sale! 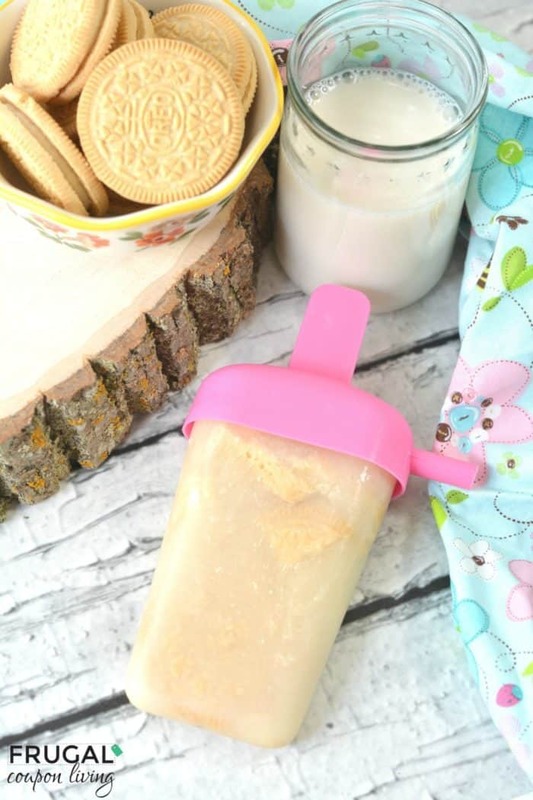 Everyone’s favorite dessert, milk and cookies, twisted into a cool tasty treat – Milk and Cookies Popsicles featuring Golden OREOs. 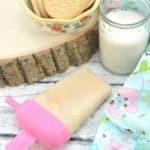 We twisted everyone’s favorite dessert into a yummy treat, Milk and Cookies Popsicles! 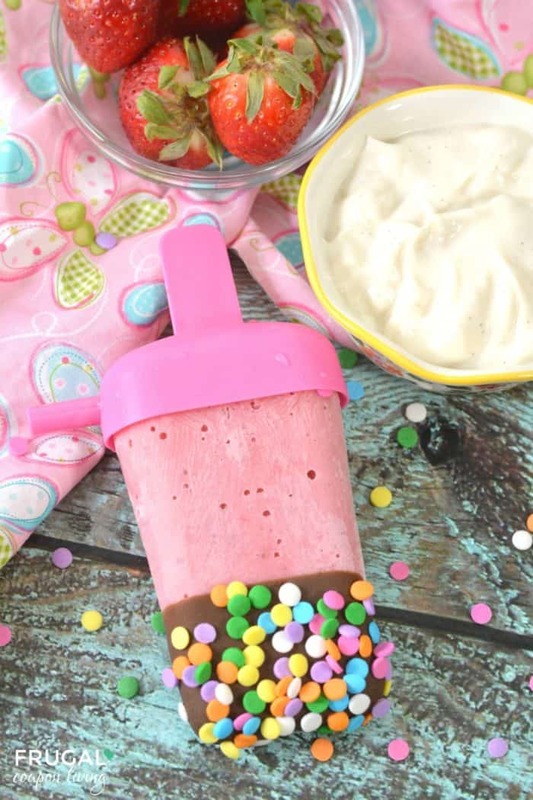 This Popsicle recipe features Golden OREOs. We did not use whole milk in this recipe, we used our secret ingredient Almond Milk. We make a lot of smoothies in our home, so Almond Milk is a pretty common staple ingredient for us. 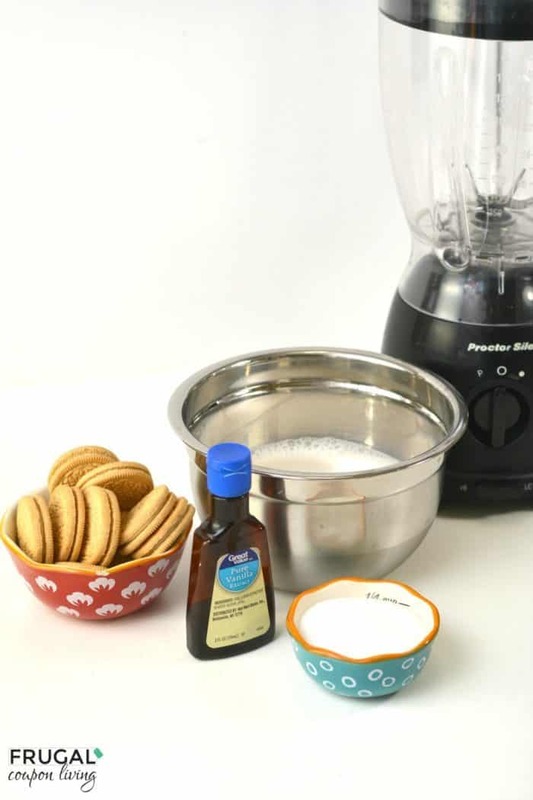 To add more flavor, we included sugar and vanilla extract. If you need a Popsicle mold, these are like the molds we used. 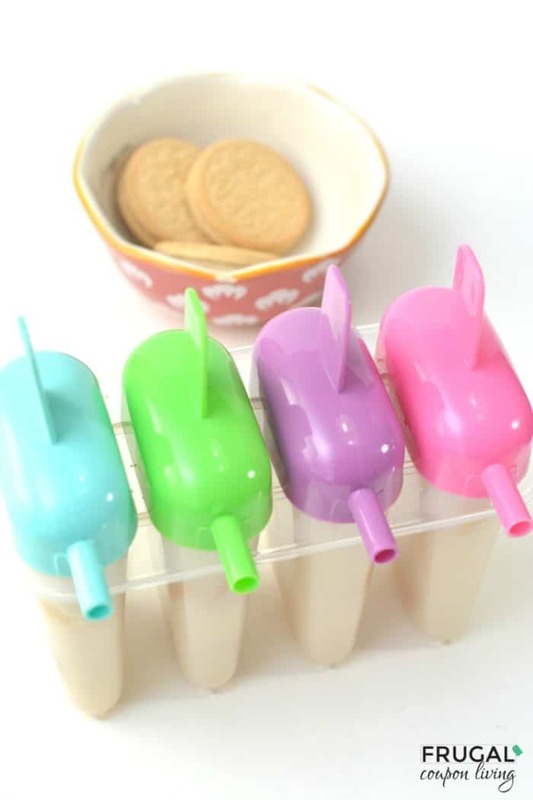 Popsicle molds – these are like the molds we used, but they have many more options! Pour two cups of unsweetened vanilla almond milk into a blender. Add in ¼ cup of sugar. Mix in 2 teaspoons of vanilla. Blend until the mixture is well combined. 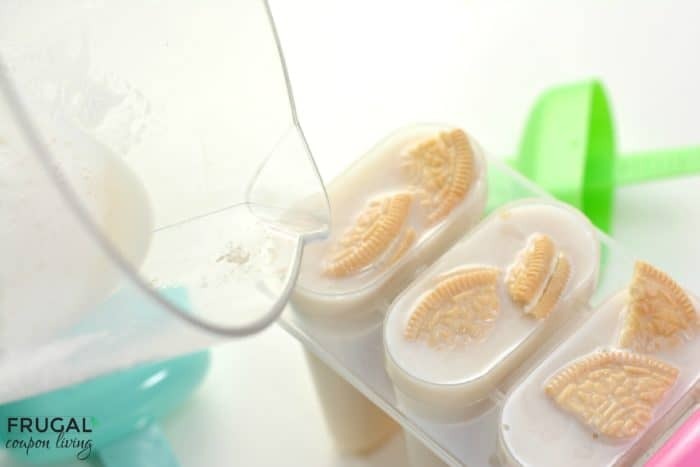 Place one whole Golden Oreo into the bottom of each Popsicle mold. Break another Golden Oreo into fourths, and layer it the rest of the way to the top of each Popsicle mold. Pour your Popsicle mixture into each mold to fill it to the top. Place the tops on each of the Popsicle molds. Put the Popsicles in the freezer for at least 5 hours. When ready to serve, you can loosen the Popsicle in the molds with some warm running water. Hey Popsicle lovers! 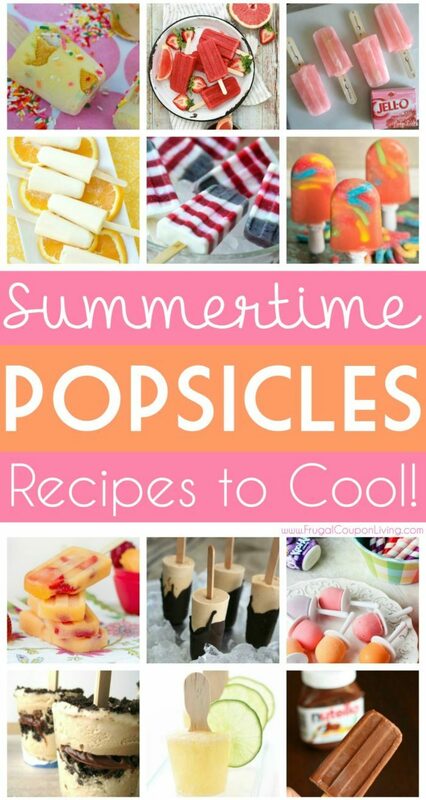 You will want to see the other Popsicle Ideas, Summertime Popsicle Recipes. Pin to Pinterest. Enjoy our Chocolate Covered Strawberry Popsicles. Pin to Pinterest. 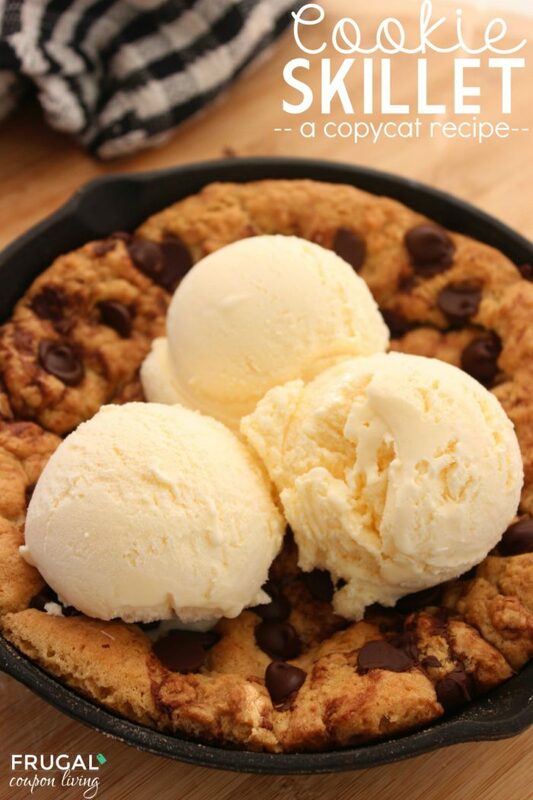 Also take a look at this cookie recipe – Cookie Skillet! Pin to Pinterest. 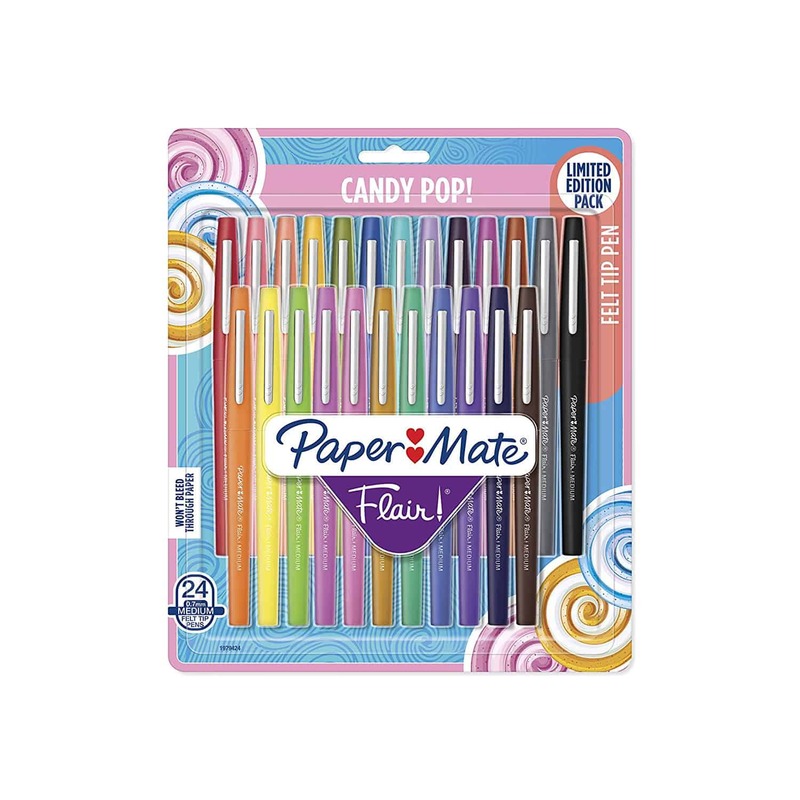 Paper Mate Flair Felt Tip Pens (Candy Pop Pack, 24 ct) Just $14.73! Get this set of 24 Paper Mate Flair Felt Tip Pens (Candy Pop Pack) for just $14.73! These markers are Smear- and fade-resistant. The medium size point felt tip (0.7mm) produces bold, expressive lines so you can make a major statement. These are some beautiful and bright colors make your writing pop. Wow! what a great idea! 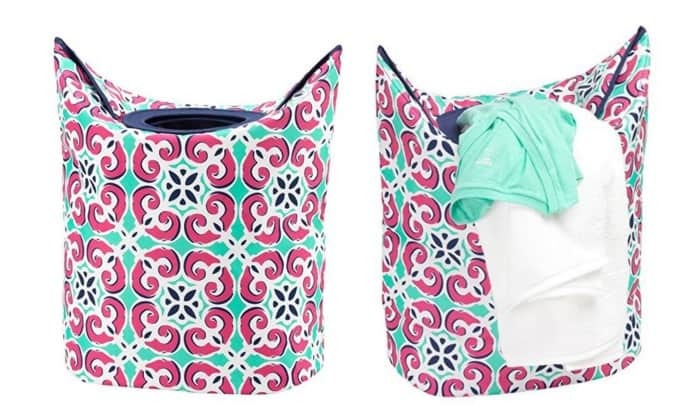 This 2-in-1 Quilted Mega Laundry Tote Bag is just $46 right now. This bag doubles as a laundry hamper and as a tote to carry your clothes to the laundry area. The bottom provides it great stability and the handles folds down to give you a nice a circle opening. This large tote flattens and folds for easy storage when not in use. 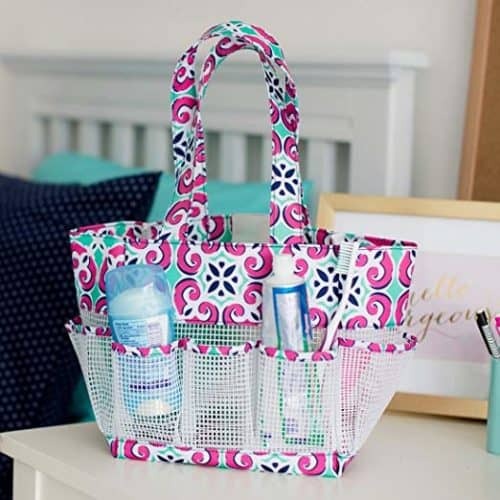 We also love this beautiful shower caddy for $28. Supplies are running low, so grab it now! You can find more ideas from Viv and Lou. 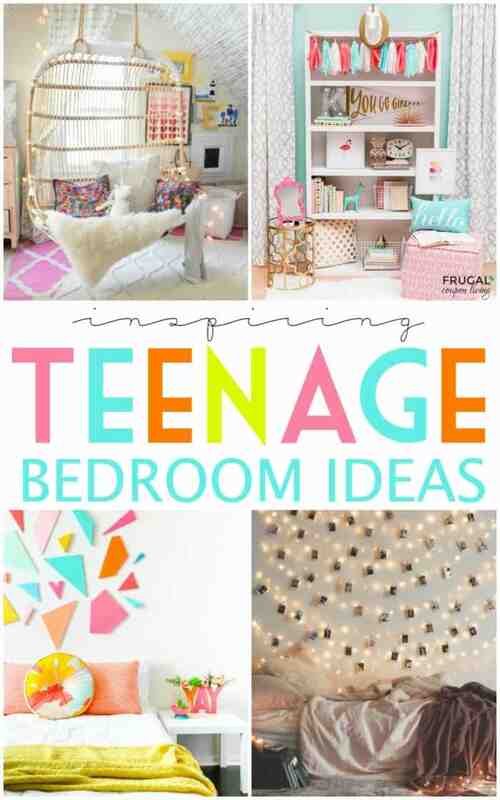 You will want to take a look at our Teen Bedroom Ideas. Save this Pin to Pinterest. Also enjoy these Dorm Room Hack and Tips. Save this Pin to Pinterest. 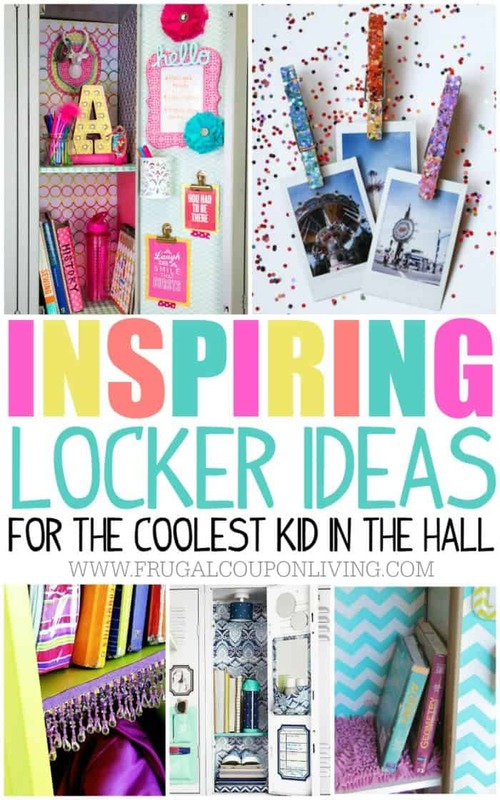 Lastly, enjoy these Locker Ideas for your teen! Pin to Pinterest. Advanced Hand Lettering Set (13 Markers, Pencils, Eraser and Tips) for $16.99! You’ll get everything you need in this Prismacolor Advanced Hand Lettering Set. It comes with all the tools you need for advanced hand lettering: 2 pencils, 7 illustration markers, 2 dual-ended art markers, an eraser and a tips/tricks pamphlet. All of this for $16.99! Perfect for exploring the artsy side of writing and transforming every page into a creative statement. Just getting started with hand lettering or looking for tips to advance your art? Check out our hand lettering and chalk art tutorials. I love monogramming things, and these decals are perfect for monogramming your kids’ school supplies to label them. Shop this Vinyl Decal Sheet Blowout to get a set of 13 vinyl decals for just $5.99 (reg. $19). These decals come in 2″ and 5″ size and in two font styles. You don’t have to use these just for school supplies, either. Use them on your laptop, your car window – anything you can think of. You can also use these in bedrooms to label dresser drawers and other items. This is especially useful if your kids share a room! Hurry to get your vinyl decals before they sell out!